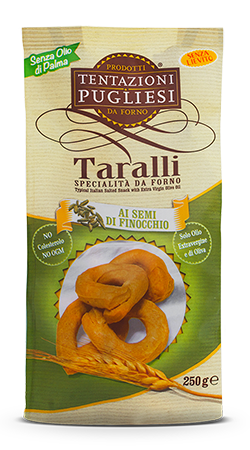 Fragrant specialities artfully created for your delicious snack. 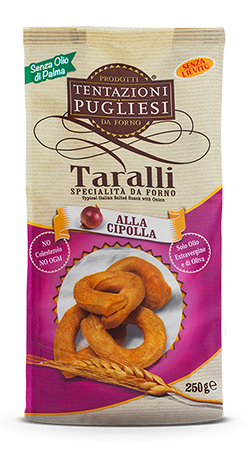 Our Taralli are the result of an old Apulian recipe, based on very simple but genuine and natural ingredients: the soft wheat flour, the perfumed white wine of Apulia, the superb extra virgin olive oil of “Coratina” olive variety and the addition of spices to aromatize the whole lot. 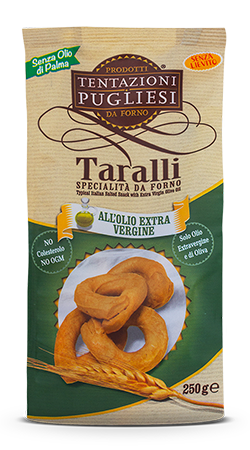 Tentazioni Pugliesi’s keywords are quality and innovation, experience and passion that distinguish our company. 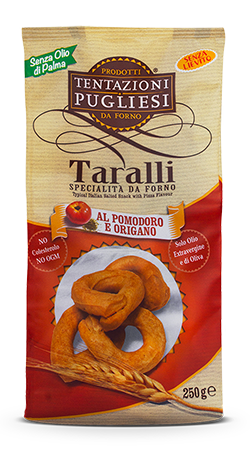 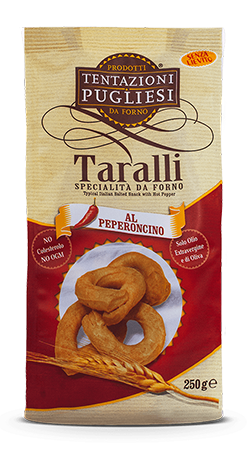 The Family Line’s Taralli, in the practical packaging of 250g, are a snack that remember the antique avor of the typical Apulian Taralli.